Trees are budding, flowers are blossoming and birds are back with their sweet morning soundtracks. With the spring sun finally wiping out the dull winter skies, Parisians begin to crack a smile or two, eager to let the good times roll again. 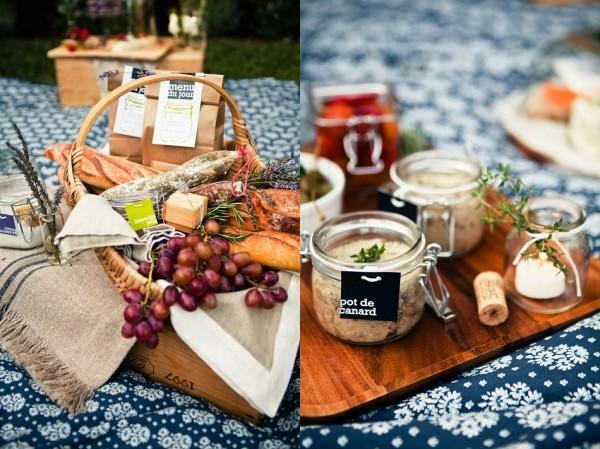 And what better way to celebrate life’s new beginning than to unravel Paris’ most fascinating picnic locations? 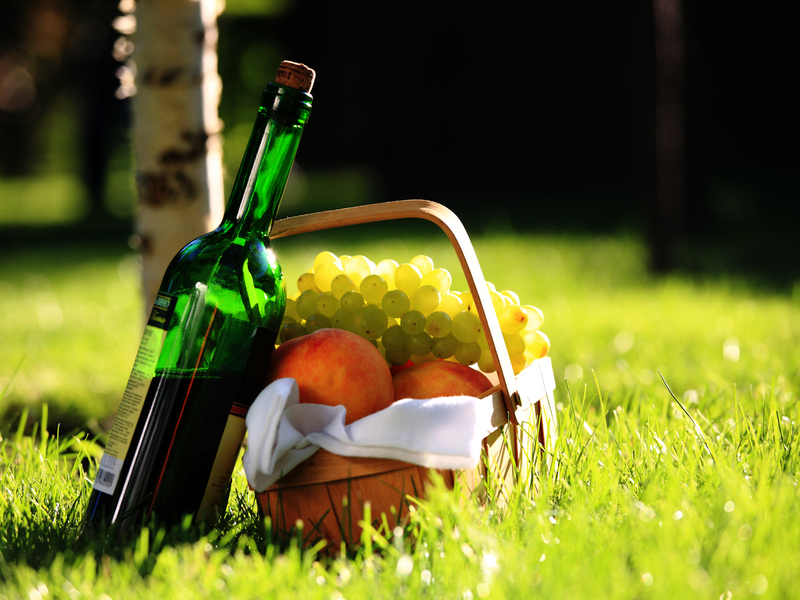 My oh my, it’s time for a picnic! An “al fresco” lunch, an afternoon snack or a dinner with friends? These days, everyone should take advantage of the weather and spend their time on the grass, by the river or in the elegant shadow cast by Paris’ most remarkable landmarks. With a crispy baguette, a mouth-melting cheese and some yummy delicatessen, life suddenly seems worth-living again! 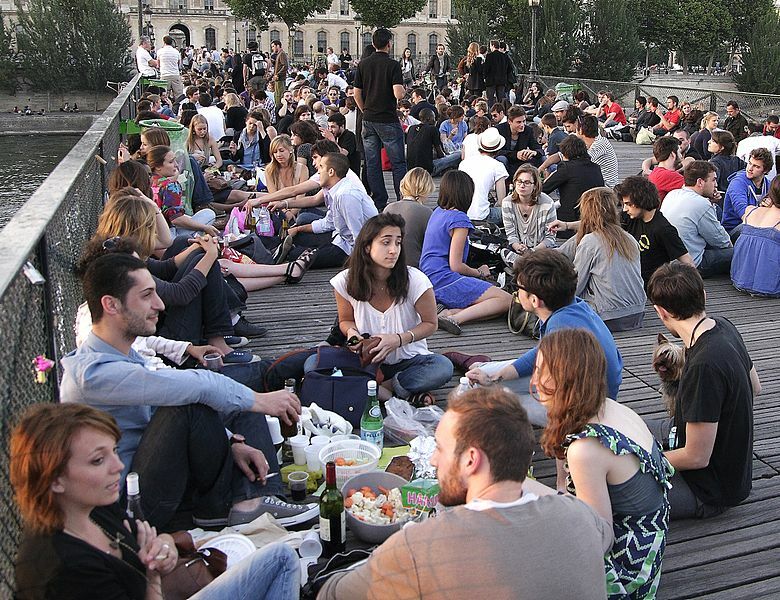 From benches and bridges to canals, hills and gardens, the Parisian picnic map is packed with tempting possibilities to spread your checkered blanket. But before hitting town starry-eyed, let’s stock that picnic basket of yours first. Nice. Now that we’re done shopping, it’s time to hit the Promised Land and find the perfect spot for unpacking that basket! 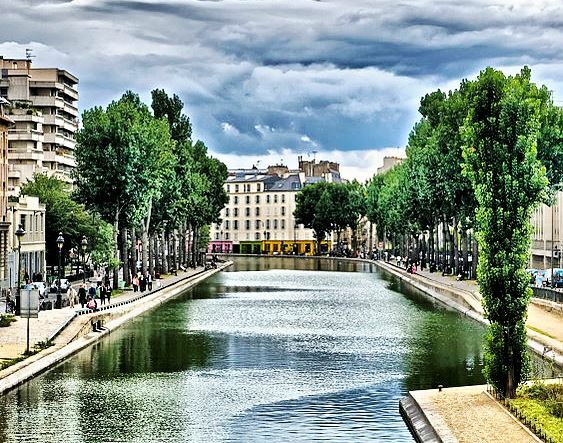 Young, hip and less touristy than the banks of the Seine, the atmosphere of the stone banks of the Canal St. Martin make it a universally beloved place for a picnic under the branches of plane trees in the soft light of the sunset. With its length of 4.5 km you will be seated without having to make a reservation. (Metro : Gare de l’Est (line 4, 5, 7), Place de la Republique (line 3, 5, 8, 9, 11)). 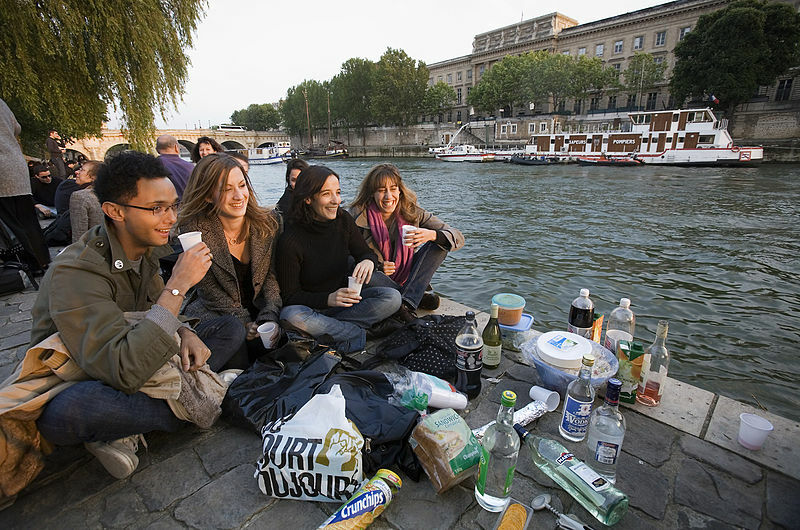 It’s no wonder that the banks of the Seine, the square Vert Galant and the Ile Saint Louis have become legendary spots for Parisian picnic lovers. They present a gorgeous opportunity to amicably admire the passing Bateaux-Mouches, while relishing the picture postcard views of the Notre-Dame Cathedral, the Pont des Arts or the sleepless safeguards of Hôtel de Ville (Metro: Hôtel de Ville (lines 1, 11), Cité (line 4)). 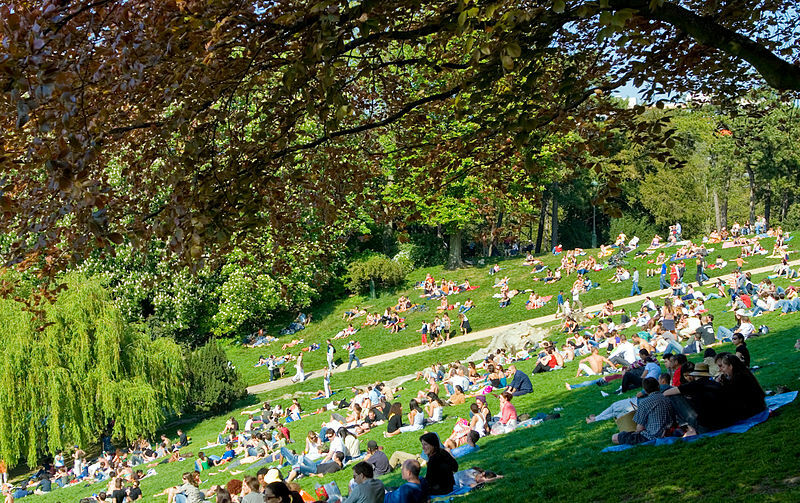 Located atop a rocky hill offering sweeping panoramic views of Paris, the Parc des Buttes Chaumont is an original place to lay down your picnic blanket. With its rolling hills, rock formations, charming lakes and waterfalls, you can enjoy the calming sounds of nature as you take to your lunch. (Metro: Buttes-Chaumont, Botzaris (line 7), Laumière (line 5)). 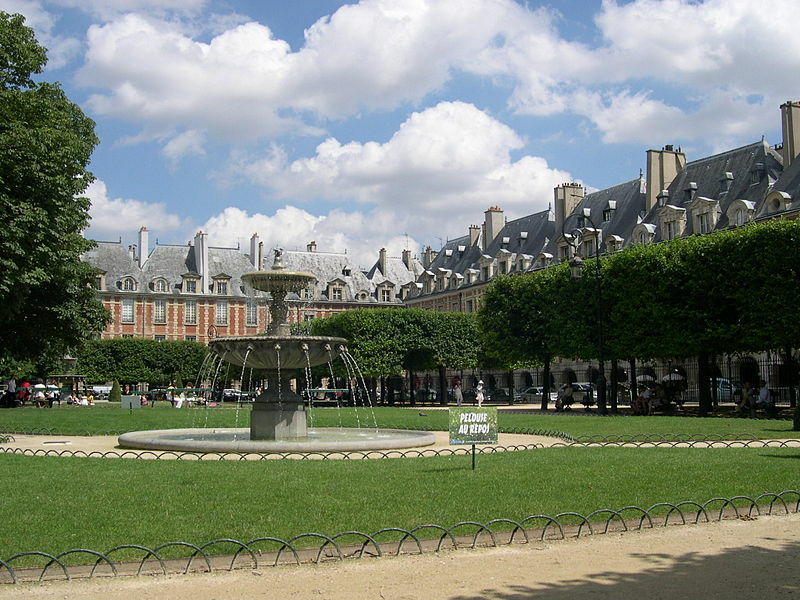 If you prefer to stay in the center of it all, why not head to the Marais and the oldest planned public square in Paris, Place des Vosges? 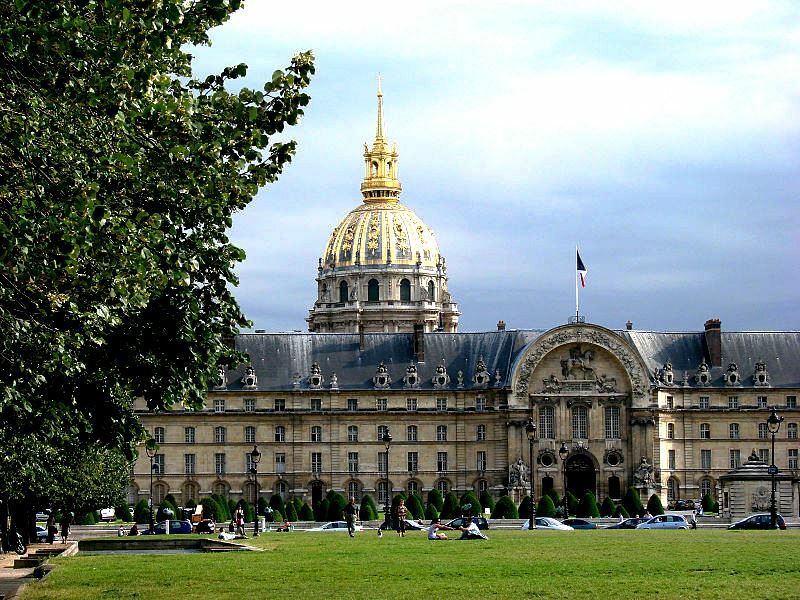 You can easily picture yourself in the 17th century once you sit on the grass of this pretty and perfectly symmetrical square and become the last on the list of its famous temporary residents, including writer Victor Hugo, poet Théophile Gautier and Cardinal Richelieu himself. (Metro: St. Paul, Bastille (line 1)). Munching on French cheese in front of the Eiffel tower might sound like a joke but it’s actually one of the ultimate Parisian picnic experiences. 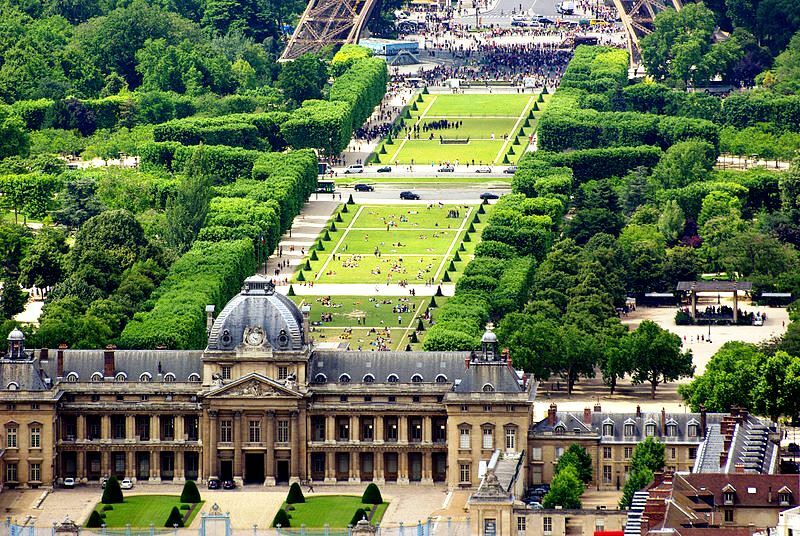 To fulfill this classical fantasy, load up your basket and go set camp on the Champs de Mars, the nearly 0.5 mile of field, stretching out like a green carpet in front of the famous tower. No bad seats, we promise. 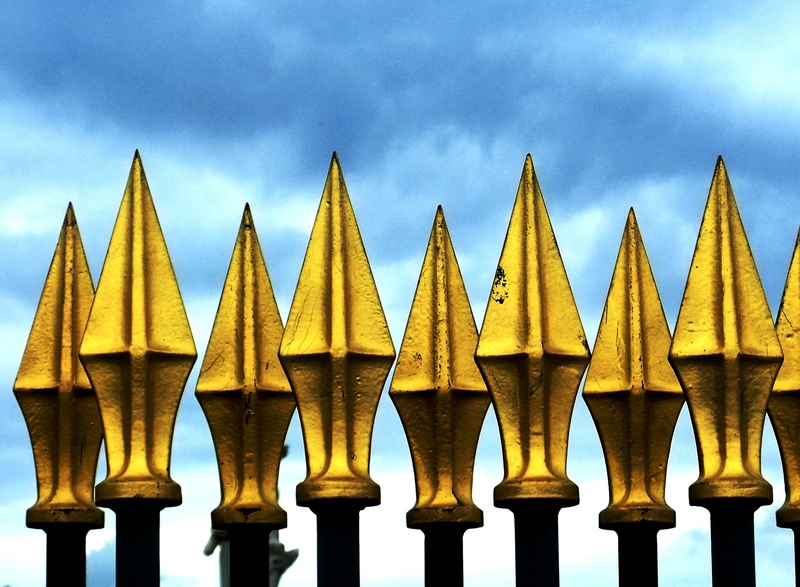 (Metro: Champ de Mars-Tour Eiffel (line 6), Ecole Militaire (line 8)). 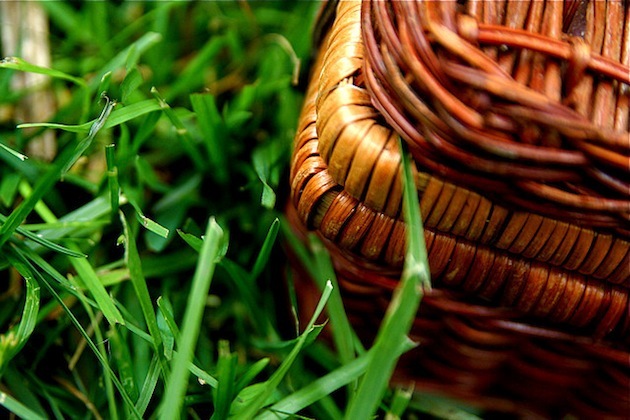 We hope you’ve spotted your top picnic spot in our list and are already packing that basket. Enjoy and bon appétit!